Stanley B. Burns, MD takes us through some of his favorite photos from his collection of over 1 million historic photographs. 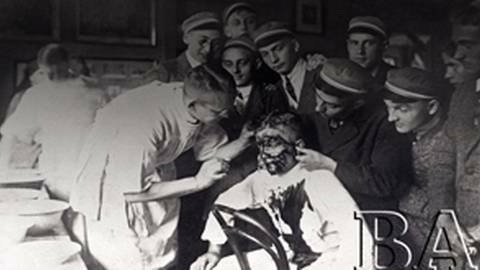 The Burns Archive is best known for providing photographic evidence of forgotten, unseen and sometimes disquieting aspects of medical history through its collection of over one million historic photographs. Stanley B. Burns, MD, founder of the Burns Archive chats with host, Dr. Andrew Wilner about some of his favorite photos from the collection, revealing the stories behind the pictures. To find out more about Dr. Stanley B. Burns and the development of his archive, check out Dr. Wilner's interview regarding the creation of the Burns Archive and his collection.